The University of Zurich (UZH) has published an article about remote sensing expert Michael Schaepman’s plans to use a new aerial sensing method to investigate the complex interplay between ecosystems, species and genes. While biodiversity is on the rise in some parts of the world, such as on the balconies and in the gardens of Europe where nonnative species of plants are being grown in pots, biodiversity in rainforests is rapidly declining as the rainforests are being cleared by humans. Schaepman, professor of remote sensing at the UZH Department of Geography, wants to scientifically approximate the global impact of humans on biodiversity and is leading the Remotely Sensing Ecological Genomics project at UZH to do so. He is employing a biodiversity observatory to monitor plant diversity on the Lägern, a wooded area in the canton of Zurich. The project will measure, from the ground and from the air, how the area responds to global changes. “We have a massive influence on global biodiversity, and thus on the way it impacts the environment,” says Schaepman. To overcome the major challenge of counting and locating the different living organisms, Schaepman and his team are investigating the functional diversity of plants, which describes the diversity of interrelationships between ecosystems, species and genes. The scientists deploy highly specialized equipment they have developed in collaboration with the European Space Agency (ESA) and mounted in aircraft. The equipment includes a spectrometer to measure from the air the light from the sun that hits plants and is reflected. On the basis of how the plants reflect different wavelengths of light, the researchers can determine the physiological characteristics of the leaves and the nitrogen, chlorophyll and water content. This can give an indication, for example, of the activity and health of a tree. The Remotely Sensing Ecological Genomics project is being funded by NOMIS, the Global Change and Biodiversity University Research Priority Program (URPP Global Change and Biodiversity) and the UZH Foundation. Scientists at Ecole Polytechnique fédérale de Lausanne (EPFL) in Switzerland will spend at least the next four years studying some of the world’s biggest glacier-fed streams. By collecting microorganisms from the streams and extracting their DNA, they hope to better understand how these creatures have adapted to their extreme environments. The project, Vanishing Glaciers, is being led by Tom J. Battin, professor of ecohydraulics at EPFL. Slated to start on Aug. 1, 2018, the project will be the inaugural research program for the Alpine and Polar Environment Research Center (Alpole) at the EPFL Valais Wallis campus in Sion. On an unprecedented expedition, the team of scientists will set out to answer the question, What else besides water do we lose as glaciers vanish? 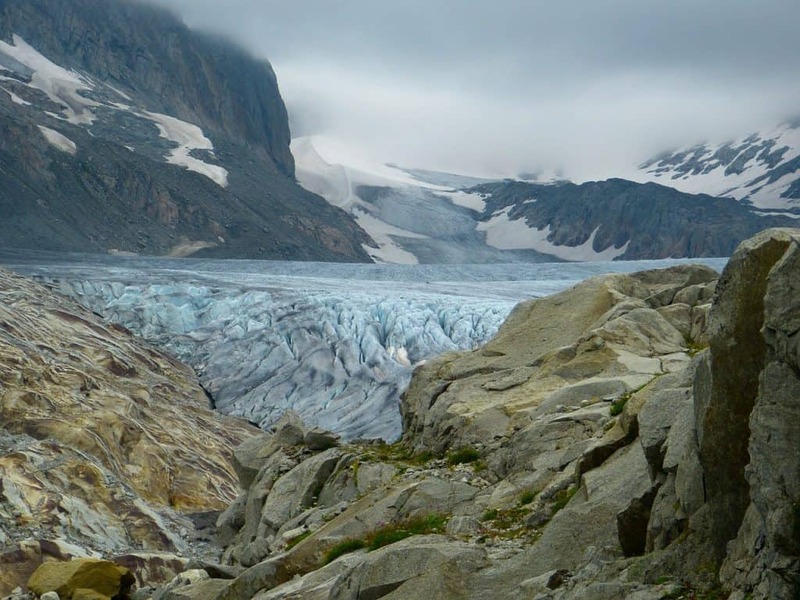 The scientists will travel to the world’s largest mountain glacier systems, collecting microorganisms from hundreds of glacier-fed streams and analyzing their genomes. Through a combination of environmental sciences, life sciences and geology, they hope to learn how these microbiomes have adapted over the millennia to the extreme conditions they are exposed to. The Vanishing Glaciers project is supported by the NOMIS Foundation. On August 15, 2017, Future Earth announced the winners of the first round of grants for the Program for Early-stage Grants Advancing Sustainability Science (PEGASuS). The winning projects include topics such as the impacts of the cocaine trade on protected areas in Mesoamerica, the collection of indigenous knowledge of threatened native pollinators in Bolivia and sustainable farming in Malawi. They were selected through a global search that attracted dozens of proposals from over 50 countries. Sixty percent of total deforestation in biodiversity hot spots in Central America is linked to cocaine trafficking. The project will assess the impacts of drug transit on ecosystems services, biodiversity and environmental governance, and catalyze a regional observatory for continued monitoring of this alarming phenomenon. The project will study the impact of agroecological farming methods on crop pest abundance and the biodiversity of beneficial insects and birds. If such farming practices increase wild biodiversity there are positive social and ecological implications for rural African communities. Mountains provide water to half of humankind, host one-third of terrestrial species and are home to more than 10 percent of the human population. This social-ecological research project will compare mountain ranges all over the world to identify opportunities for sustainable development related to mountain biodiversity. The state of biodiversity depends to a great extent on people’s behavior, which in turn is primarily determined by their perception of nature’s contributions to their well-being. The project will evaluate whether there is a positive relationship between equitable value articulation of nature and the effectiveness of nature conservation initiatives. Information is needed for planning and management of threatened Bolivian native pollinators because they service about 70 percent of tropical forest plants; losing the pollinators could negatively impact tree species diversity. The project will gather and analyze information about threatened native pollination systems in at least two indigenous territories in lowland Bolivia. Project winners will receive a combined total of $600,000 in support from PEGASuS over a one-year period. The PEGASuS partners will announce a second round of grants, focusing on ocean sustainability, in the spring of 2018. A third round, addressing water, energy and food, is expected in early 2019. The PEGASuS program is supported in part by the NOMIS Foundation. NOMIS funding ensures the inclusion of social scientists in these interdisciplinary projects. The reality of democracy and accordingly its ideals are changing over time. Recent political movements like the Gezi movement in Istanbul or the Maidan movement in Kiev constitute a new form of political participation, which cannot be understood within established theories of democratic engagement. Against this background, Public Space Democracy investigates a new concept of public space, which models cumulated interactions of borderless and egalitarian citizens and governmental agencies within an urban environment. The research will be undertaken by five study groups, each of them combining different scientific expertise within the social sciences and the humanities, located at the L’ École des hautes études en sciences sociales (EHESS) in Paris, the Warburg Institute in London, and the Istanbul Policy Center at Sabanci University in Istanbul. The project is being led by Prof. Nilüfer Göle at the L’ École des hautes études en sciences sociales (EHESS). Its duration is planned for three years. Regular updates are published on the project website.